It is professional business flyer design software that is quick, easy and simple. Edraw Max has the tools to make it easy to create professional-looking flyers, brochures, leaflets AND certificates from Templates. It lets you create all kinds of business flyers then print, share them directly with your clients. Easily create a professional quality brochure template or flyer for your small business in minutes. It supports auto links and inserting images. It can also be exported to PDF, PowerPoint, Word and Graphics. Make and customize your own flyer: You have full control over every design detail. You can change the border, clip art and text any time and any way. The customization options are endless. All flyer components can be edited on size and color. Create a flyer from professionally designed templates: Don't have the time to create an award from scratch? Then start from our premade collection of templates. Just edit the text to fit your needs. Use our extensive clip art library: We are always adding new borders, banners and clip art to the system that is available for you to utilize in your own flyers. Click here to download Flyer Software. Then you can use the built-in flyer examples to create and present your flyers, brochures, leaflets and certificates in only a short time. There over 12000 vector shapes included in Edraw offering infinite possibilities for flyer design. Examples are arrow shapes, basic drawing shapes, titles and backgrounds. 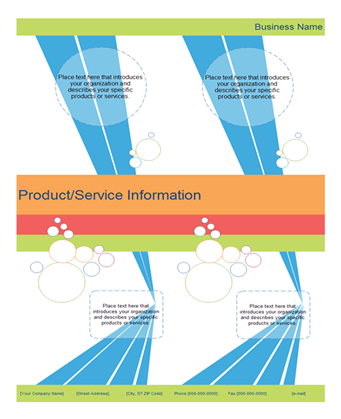 The clip arts are all in vector format, well-colored and vivid. Users just need to drag and drop them on the canvas. Numerous elements will surely offer great convenience for you. On the start page, you can select the Flyer Template in the Business Form category. 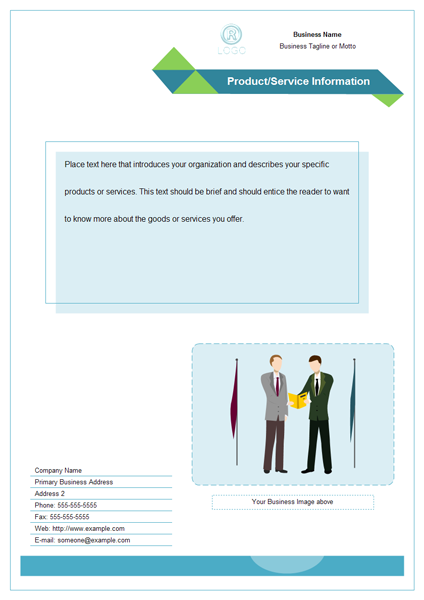 Sales template lets you create great-looking flyers quickly using its built-in symbol elements. This template is beautiful with all shapes perfectly distributed. To change line, fill and font style at once, you can choose another theme by 1 click. It is that simple. For more possibilities, you can use creative shapes or clipart to design original and attractive flyers. All the symbols can be edited throught changing the fill color, line color, and size. You can alter the border style and font, too. It's very easy to insert your company logo or other symbols. Here is another flyer template you can use for your business propaganda. It's changeable on the layouts, graphic element, color, background, and text. 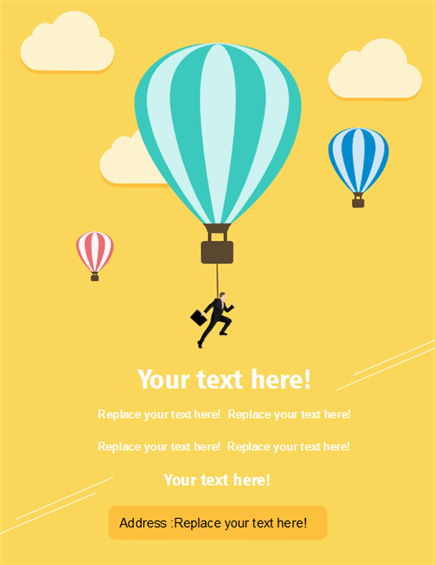 Download it and create an eye-catching business flyer in the shortest time.